Live Premier League and international football, as well as action from the lower leagues, come as standard with Sky Sports. With a line-up that also includes ATP Tennis, The Ryder Cup, snooker, boxing, The Ashes and rugby union, Sky Sports should be the first name on the TV teamsheet for any serious sports fan. How do you get Sky Sports? Sky Sports is available as a monthly add-on for every provider. Find out more about how to get Sky Sports in our dedicated guide. BT customers can add Sky Sports to their package for an additional monthly charge. You'll also need to be a BT Infinity customer to add this package to your TV. Sky Sports is only available to TalkTalk customers when they sign up for the Sky Sports Boost. Sky Sports is also included with the Sky Sports and Sky Cinema Boost. 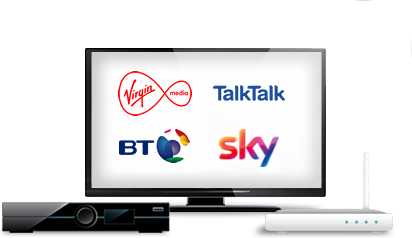 Virgin Media offers subscribers the chance to add Sky Sports to their TV package, plus you can get a bundle including BT Sport, too. With NOW TV, you can buy a Sky Sports day, week or month pass, so you can get Sky Sports for cheap, depending on which pass you choose. Not sure Sky Sports is the right sports package for you? Check out our guide on Sky Sports vs BT Sport.